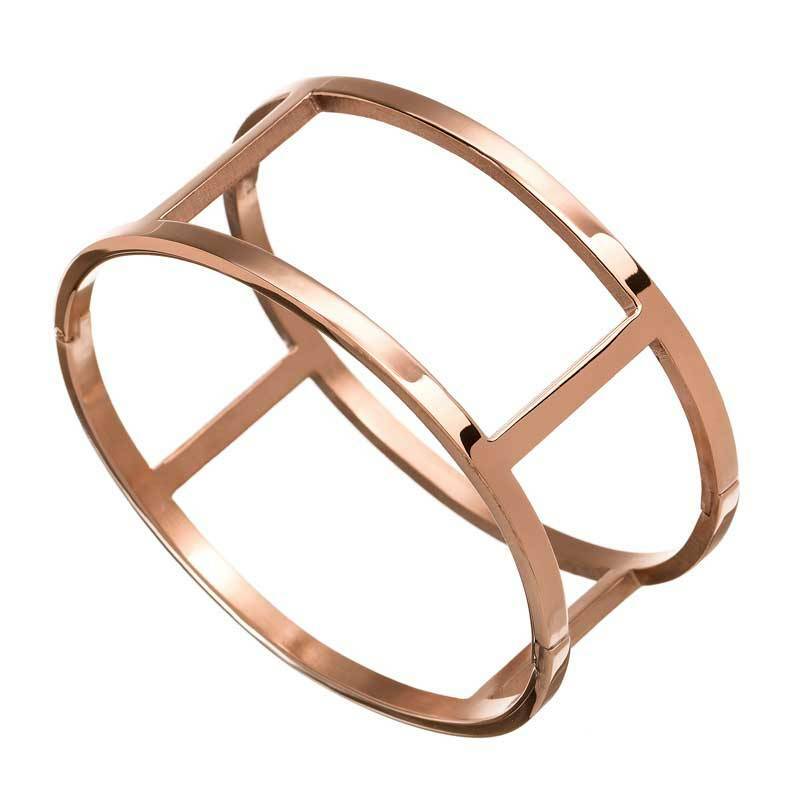 Helena is a stylish, wide bracelet with an elegant graphic look. The bracelet has a hinge that makes it easy to put on and closes almost invisibly shut. Material: shiny rosegold plated stainless steel (not allergenic).